Hardcover, 8.75 x 11 in. / 168 pgs / 106 bw. Text by Oliva María Rubio, Gustavo Martín Garzo. 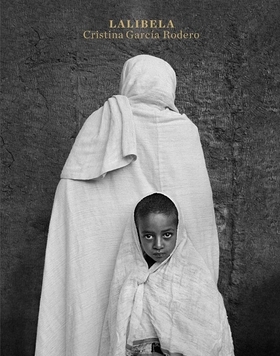 Magnum photographer Cristina García Rodero (born 1949) presents the black-and-white images she took in the 11th-century Ethiopian city of Lalibela, a World Heritage site and an important pilgrimage city for the Coptic Christians of Ethiopia. FORMAT: Hbk, 8.75 x 11 in. / 168 pgs / 106 b&w.